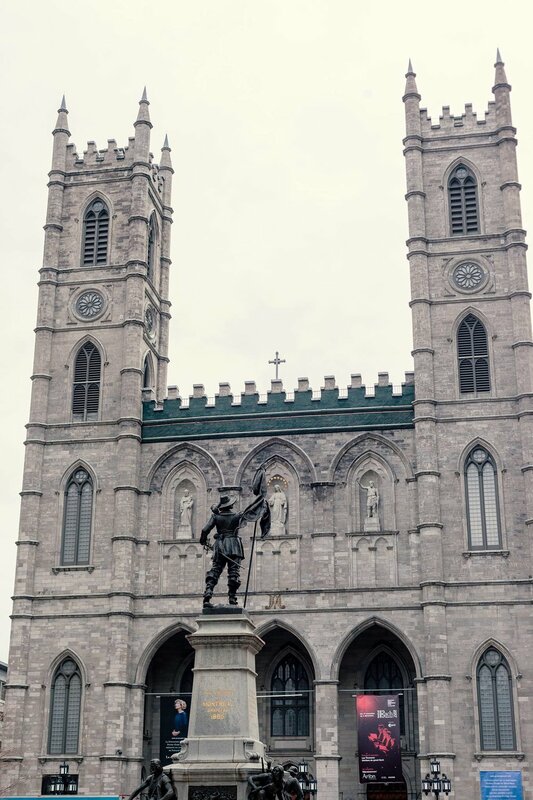 I recently visited Montréal and I wanted to share with you some of my favorite places to visit and to eat. I went there on the Thanks Giving Holiday and it was starting to get really cold. We had some snow, nothing major, but I feel like it would be much more enjoyable to visit in October or during spring. Unless you don't mind the cold and love winter time. 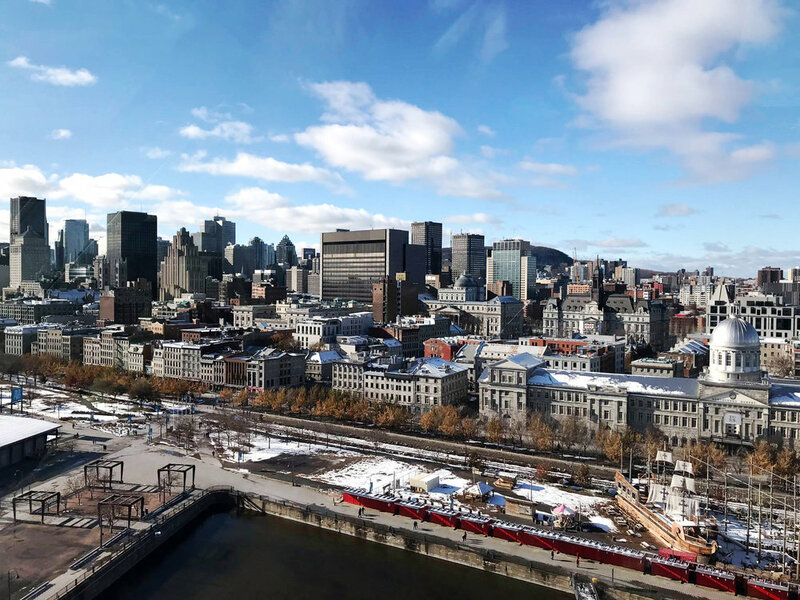 Strolling around the Old Port of Montreal: very touristy shops, but the old streets are pretty, you can take a look at the Clock Tower dock (quai de l'Horloge) and maybe hop on the observation wheel. Botanic garden, Biodôme (old olympic velodrome from 1976 rehabilitated in a zoo) and contemporary museum (at place des Arts). 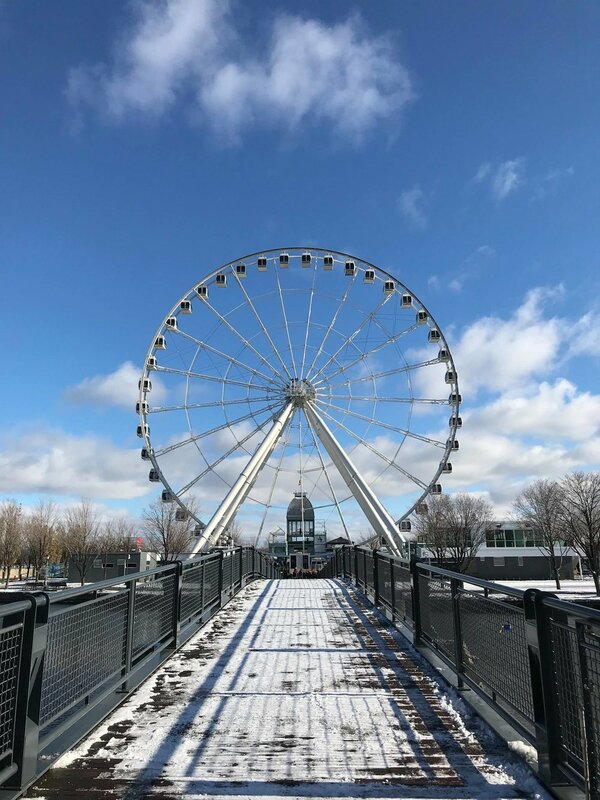 And for night photography lovers go to the Dieppe Parc to have a view of the skyline of Montréal and the observation wheel (need a car to go there). I cannot recommend more the video of Melissa Soldera, a fashion blogger and brand owner, living in Montréal. 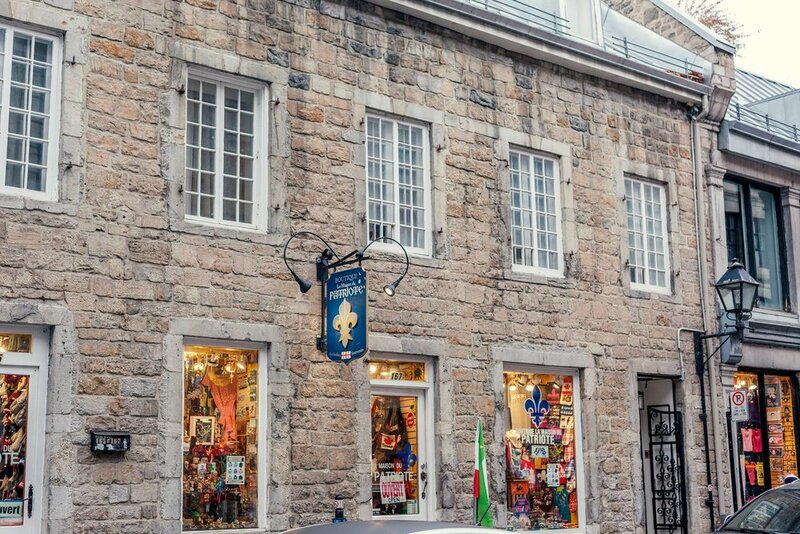 She mentioned such great places to eat like real Montréalais. Link to the video here. 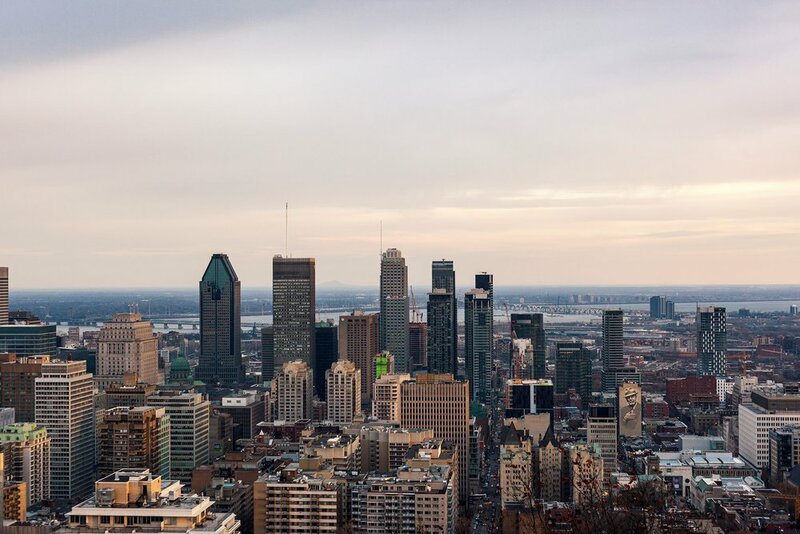 I hope this post will help you find some inspiration for your next vacation or weekend escape in Montréal.